Dementia is a very scary disease. One minute you’re living life, creating memories… and the next those precious memories are stripped from you bit by bit. And there’s not much doctors can do to help. Although there are scientific breakthroughs in the field of Alzheimer’s and dementia research every day, all we ever get from mainstream medicine is some form of the promise of “effective drugs within the next decade.” Tomorrow, always tomorrow for these hucksters. 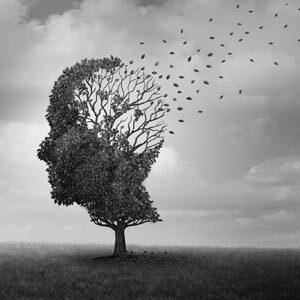 A recent study showed promise in halting one of the most common forms of dementia using a pathway that is already being used to treat some existing medical conditions and can be found in nature. Researchers at the Lewis Katz School of Medicine at Temple University discovered this breakthrough after discovering that molecules known as leukotrienes (molecules that are produced by the white blood cells in your body) are deregulated in Alzheimer’s disease and associated with dementia. In fact, they found that while these molecules can initially protect the nerve cells in dementia patients, over time, they cause more and more damage, leading to tau lesions in the brain — the second most common type of lesion in Alzheimer’s patients. After genetically engineering mice to develop these tau lesions, the scientists then put the mice on a drug known to inhibit those leukotriene molecules for 16 weeks. The mice whose leukotriene pathway was blocked not only experience a reduction by 50 percent in tau, the form of the protein that is known to directly damage synapses, compared to the non-treated at the end of the testing, they also did significantly better on tests of memory and spatial learning. Hopefully it won’t be long until scientists find a practical way to use this information, especially since blocking leukotrienes isn’t something new in the field of medicine. Antileukotrienes are pharmaceuticals that oppose the leukotriene’s inflammatory functions, and they are used in the treatment of conditions ranging from atherosclerosis to asthma. But some chemicals that naturally occur in trace amounts in certain foods, dietary supplements and plants can also block leukotrienes to a degree. In fact, compounds in the seeds of the Nigella sativa plant, also known as black cumin seed, have been shown to inhibit those leukotriene molecules in studies. The black cumin seed is the seed from which a golden oil was produced. Egyptian pharaohs valued it so highly that vials of it have been found among the treasures in tombs. It’s making a resurgence among those who want to take care of their health naturally. If you plan to make black seed oil part of your health regimen, you should look for black seed oil that’s 100 percent virgin, cold-pressed, hexane-free and contains no fillers. I suggest Peak Golden Oil™.